The old Fenner building on Northbourne Avenue is set to re-open as “Gowrie Hall”, a postgraduate residence. Provost Mike Calford announced Friday that the building would be given a “mild makeover”, and would house approximately 500 postgraduate students. This announcement appears to contradict statements made in 2016 about the deteriorating state of the building. Vice Chancellor Brian Schmidt has also previously said he was “not allowed to keep Fenner…open anymore due to codes”. 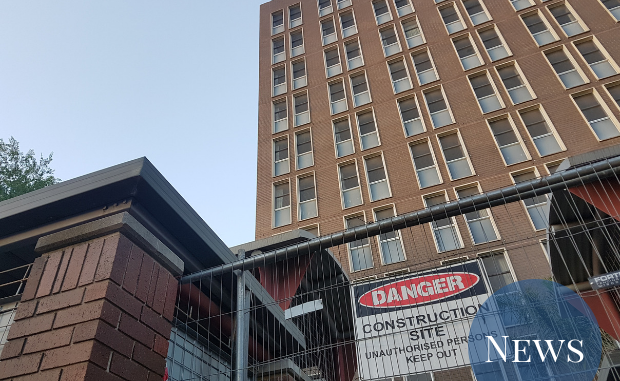 However, a University spokesperson stressed that the renewed use of the building as was a temporary solution, while ANU builds more on-campus accommodation for post-grads. The hall will apparently not be used long-term. On-campus accommodation for up to 1000 post-grads is expected to be completed by 2021, in time for when the first year guarantee is extended to post-graduate students. ANU did not respond to queries regarding the extent of the “makeover”. It is unclear whether the building has undergone the “$12 million of relatively priority works” which ANU told the Canberra Times were needed in 2016. Gowrie Hall residents will pay from $241.90 a week, a 4.5% increase on the building’s 2018 rent. This is more expensive than postgraduate residences Toad Hall and University House, but more affordable than the current rates of Burgmann or Ursula Hall’s postgraduate accommodation. The new hall will be run by Unilodge, and will accept its first residents this year. A third of postgraduates lack permanent accommodation one month after they arrive in Canberra. An accommodation guarantee will not be in place for first-year postgraduates until 2021. PARSA President Zyl Hovenga-Wauchope said the association was “very encouraged” by the university’s commitment to acknowledge the issue of postgraduate homelessness. He believes, however, that the university needs to inform potential students of the difficulties in securing accommodation prior to their arrival in Canberra. The use of the Northbourne Avenue building as a postgraduate hall was a recommendation of PARSA’s ‘Home Away from Home’ report, published early last year. The name Gowrie Hall appears to be a throwback to the building’s history as the Gowrie Hostel. It was originally built as accomodation for single public servants and was acquired by ANU in 1992.